Astronomers have discovered the brightest star explosion ever. It is a super supernova. It easily outshines our entire Milky Way. 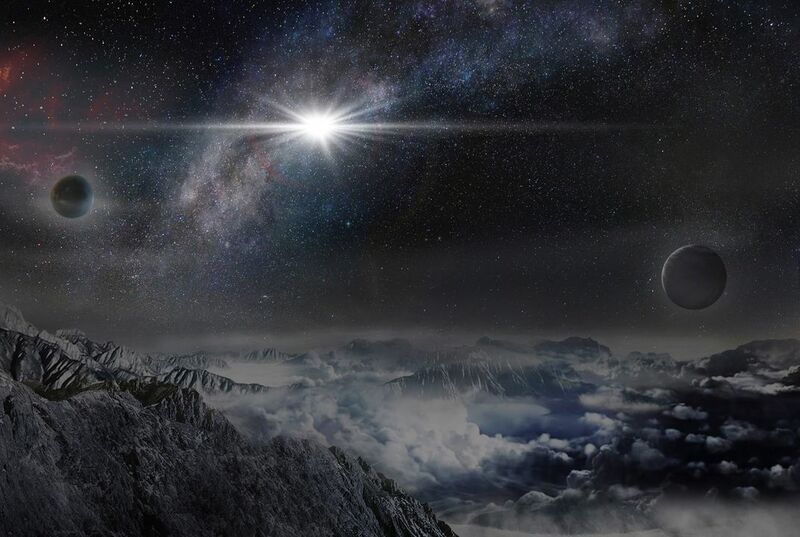 An international team revealed, "the most powerful supernova observed in human history." It was reported in the latest Science journal. The astronomers used a network of telescopes around the world to spot the record-breaking supernova. It was observed last year. Super luminous supernova are extra bright stellar explosions. They are believed to be rare. The newly discovered supernova is especially rare. It is more than twice as luminous as any supernova ever observed. At its peak intensity, it is believed to be 20 times more luminous than the entire Milky Way. Some estimates put it at 50 times brighter. And try this statistic on for size. It is 570 billion times brighter at its peak than our sun. The report's lead author is Subo Dong of China's Peking University. When he learned the magnitude of the discovery last summer, he said he was "too excited to sleep the rest of the night." Fellow researcher Benjamin Shappee of the Carnegie Institution for Science in Pasadena, California, didn't believe the results at first. He said they seemed "surreal." "Discoveries like this are the reason I am an astronomer," Shappee said in an email. "Nature is extremely clever. And it is often more imaginative than we can be." The super supernova has been labeled ASASSN-15lh. That is for the All-Sky Automated Survey for SuperNovae. It's pronounced "assassin." The mega blast is located in a galaxy perhaps 3.8 billion light-years away. The precise galaxy is unknown. There are other puzzles as well. The explosion's mechanism and power source remain shrouded in mystery, Dong said in a statement. "Because all known theories meet serious challenges in explaining the immense amount of energy ASASSN-15lh has radiated." The next step for scientists is to figure out its incredible power source. 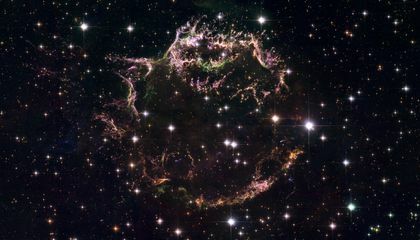 Other super supernovas, like this one, could be out there. More observatories are on the case. They include some NASA spacecraft. The Hubble Space Telescope will be pressed into service this year as well. Dong said ASASSN-15lh "may lead to new thinking and new observations of the whole class of super luminous supernova." Why is the source of the explosion a mystery? The source of the explosion is a mystery because it is extremely rare. when the author says, "The newly discovered supernova is especially rare." he is saying that it is so rare that nothing like it has ever been observed in human history. I think this article is very interesting and cool because nothing like it has ever been seen in human history. The source of the explosion is a mystery because the immense power emitted from it is surprising. This is cool discovery because It is a supernova. Also that all the astronomers came together to watch this event. I can't believe how bright the supernova is. How was the star different? Maybe there was two stars. The source of the explosion is a mystery because it is extremely rare. When the author says, "The newly discovered supernova is especially rare. "He is saying that it is so rare that nothing like it has ever been observed in human history. I think this article is very interesting and cool because nothing like this has ever been seen in human history.